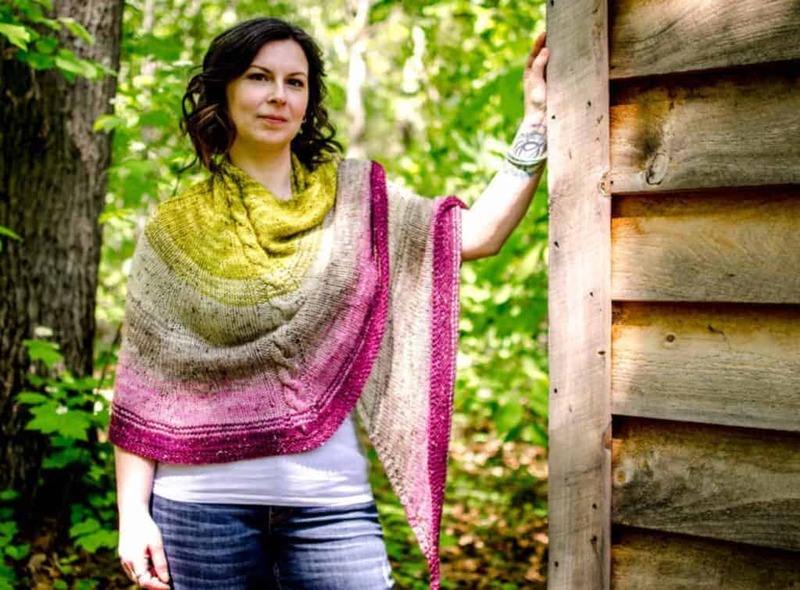 This is the first post in a series introducing the dyers who will be featured at the second annual Indie Untangled Trunk Show at Woolyn Brooklyn, taking place December 1-3. Pandia’s Jewels first came to my attention through dyer Julia’s fun collaborations with project bag company Slipped Stitch Studios, including designing original artwork for their Labyrinth Bag of the Month. 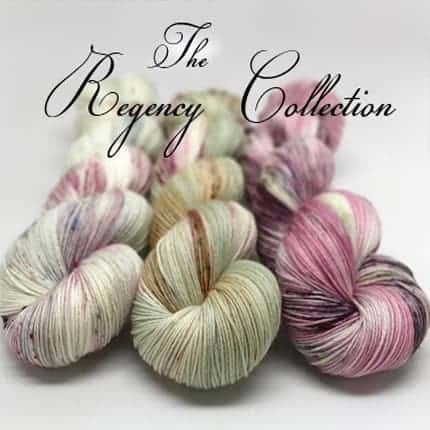 She has since wowed me with her lovely variegated colorways and subtle speckles, such as those in the Regency Collection, a series of colors inspired by the world of Jane Austen. Julia lives in Salt Point, N.Y., which is not far from Rhinebeck… or Brooklyn. 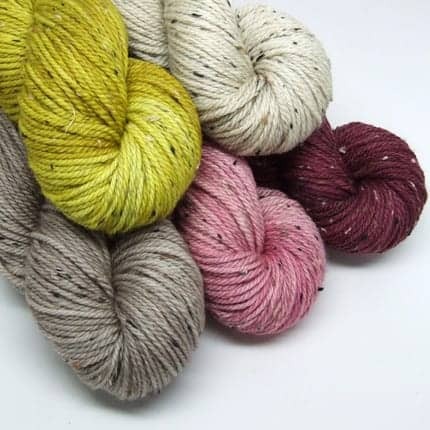 I can’t wait to see her yarns at the second annual Indie Untangled Trunk Show at Woolyn Brooklyn, which takes place the first weekend in December and kicks off with an opening night preview party (early shopping! ), with tickets available this Friday. I had taken a break from crocheting and knitting about eight or nine years ago, and when I decided to pick up the hook and needles again I found myself designing. 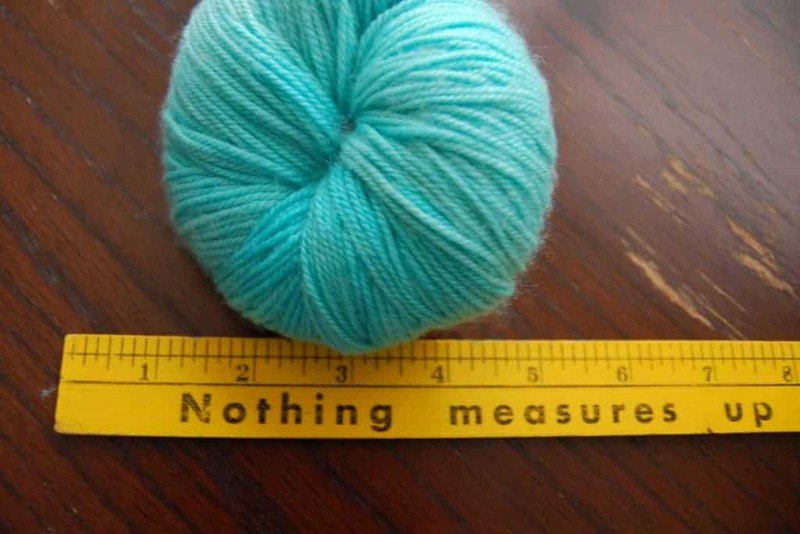 But there were times when I was unable to find the yarn base and colors that I wanted. It’s hard when you have a vision in your mind to bring it to life the way you want when you can’t find the right materials. 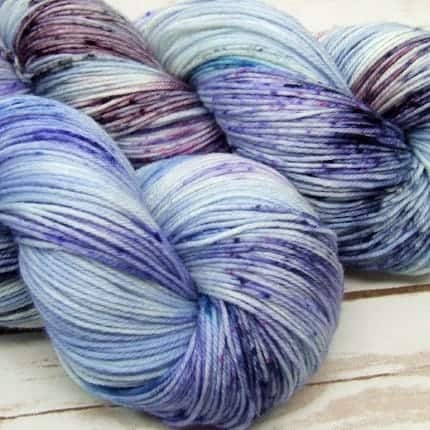 So I figured why not, if I am already designing, then how hard would be to take the next step and dye my own yarn? And that’s how I ended up being an indie dyer. My inspiration comes from a bunch of different places. There are times when I am inspired by a single color. And then I spend months experimenting with different shades of that color through various dye techniques. Sometimes the colors and names can come from television, movies, books, and even paintings. Right now I am really into watercolor floral paintings and it’s been an interesting process translating one artistic medium into another. I love the color purple and I personally tend to hang out in the darker end of the color spectrum. There was a phase a few years back where I went through some neon colors, but that didn’t last long. I have noted that this past year my color palette has been muted with ecru, tan, pink, burgundy, and of course purple. But I will say that as a dyer I have to remind myself that it’s not always about what I like and sometimes I find myself strangely gravitating towards colors outside of my comfort zone. I would love to dye rusty reds and dark blues but for some reason they elude me. But I keep trying and I am determined to figure it out. Don’t be surprised if one day you see my shop filled with these colors because I finally mastered how to dye them. I try to update my shop on a regular basis, usually at the end of the week. But there are times when that update is sprinkled about the week. Let’s be honest, It’s all over the place. I would say the best way to stay updated on what is happening in my shop is to follow me on social media. I used to be a substitute teacher, but dyeing has become my full-time job and I love it. It was a lot of trial and error at first. But I think that’s about standard when you are trying to build something from the ground up. One of the things I love the most is the fiber community. It’s one of the most creative, supportive, and loving communities to be a part of. And its given me the opportunity to collaborate and work with some truly inspiring women. This entry was posted in Q&A, Woolyn trunk show and tagged bags, indies, LYS, trunk show, woolyn, yarn. Oooh, I’m psyched for the trunk show. See you there! Yay, so glad you’re coming!